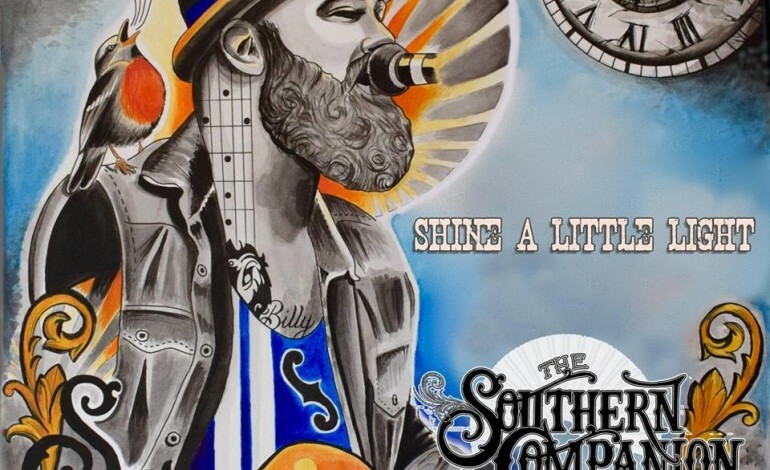 The Southern Companion have revealed details of their third album, ‘Shine a Little Light’, which is scheduled to be released on the 25th of January 2019, via their own label, Eleven33 Records. The album became available to pre-order, on the 21st of November 2018. The Southern Companion will support the album release with a UK headline tour during February and March 2019. The Southern Companion, fronted by singer/song-writer and guitarist Darren Hodson, are made up of some of the UK’s finest session musicians, some of whom first met in the music room at school. The band´s collective CV is long and varied with individual members playing for Tom Jones, Lulu, Rumer, James Morrison, Lana Del Ray, Pete Townsend, Jon Allen, John Isley and Vanessa May amongst others. They have played together for over 20 years in various projects which all finally lead to The Southern Companion and the album ‘1000 Days of Rain’. The country/America band were nominated for four British Country Music Awards (BCMA), in 2017, including UK Album of The Year – for ‘1000 Days of Rain’, UK Song of The Year, UK Video of The Year, and Horizon Act 2016. They were pretty successful, winning two out of the four awards, which included the UK Album of the Year and the Horizon Act 2016 – best newcomer. “We had a great night, picked up Horizon Act for 2016 and then the one that I secretly really wanted which was UK Album of The Year. It was completely unexpected as we were very much the new boys on the scene and didn’t think anyone knew who we were apart from maybe a couple of people on the BCMA nomination committee. As far as picking up votes was concerned we just thought everyone else would’ve been wondering who the hell are Southern Companion,” says Hodson, speaking about the awards. The Southern Companion recorded an Under the Apple Tree session for Bob Harris in 2016 and have appeared at C2C: Country to Country and a string of UK festivals. They’ve built a solid following on the Country and Americana circuit. The band has a featured song in the upcoming smash hit movie “Wild Rose” feat. Jessie Buckley and Julie Walters.